We were chosen by Barbara Corcoran to be the artists to bring this direct mail campaign to life. 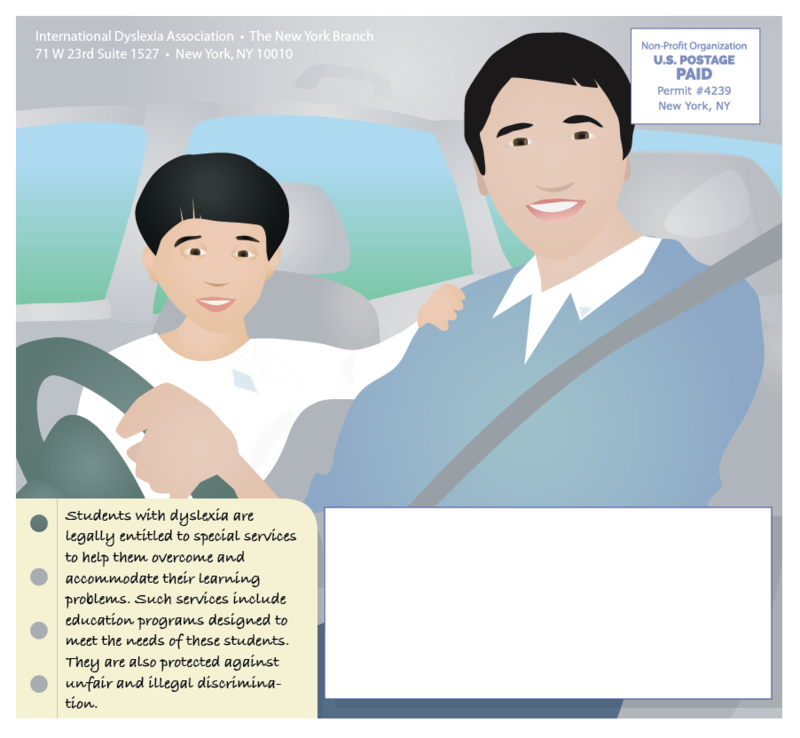 She was on the board of the International Dyslexia Association, a cause that she personally was championing because her son was diagnosed. 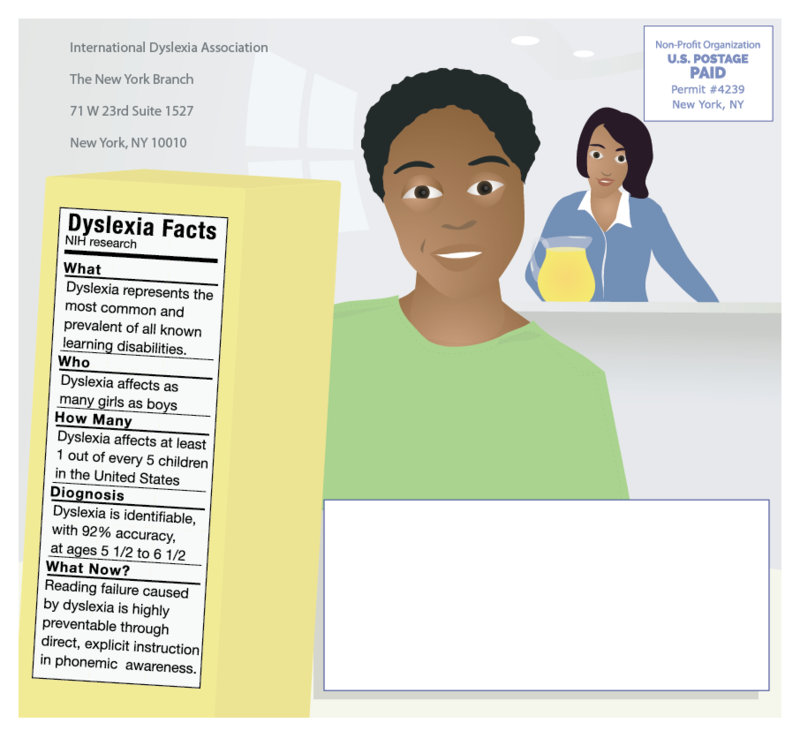 Barbara was turned off by most of the marketing materials surrounding dyslexia, even their logo makes it look very negative. 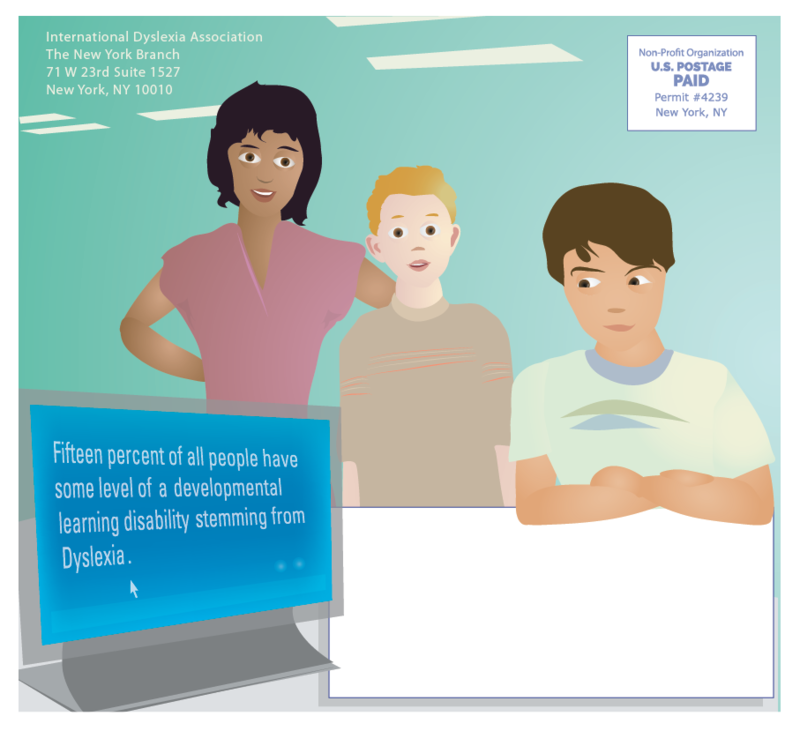 Our challenge was to make dyslexia okay, de-mystify some of the stigmas around it, and show off some of the high profile people in history that were dyslexic.